If you haven’t jumped on the wealth building bandwagon yet, let 2019 be your year for success. Today, a startling 46% of Americans have an emergency fund. That means everyone else is one financial misstep away from a complete catastrophe. How do your finances stack up with the norm? Hopefully, your finances are in a better starting place, but if not, there’s time to turn things around for the better. 2019 is a great year to make a positive change and start building wealth for the future. With a few shifts in your habits, you’ll become a money-saving pro. From there, you’re ready to start making smart investments. The possibilities are endless. The days of manually balancing your checkbook are in the past. Nowadays, your financial wellness can basically be on auto-pilot. That might seem like a scary plot out of a sci-fi novel, but it’s the way of the future. What does it mean to automate your finances? One main component is automatic investments or automatic savings. This means when you get paid, a chunk of your money goes directly to your savings accounts or your investment accounts. It’s that simple. This helps you keep on track with your financial goals since there’s virtually no temptation of spending that money. It goes right from your paycheck to your savings just like that. Similarly, using automated tools to find smart solutions to your financial problems is the way of the future. With a tool like Simple Personal Loans, you can find the right loan for your situation in a matter of minutes without the confusion and stress (read more: https://www.simplepersonalloans.co.uk/). Technology is making our lives simpler and more budget-friendly. We could all use more retirement savings. In this day and age, nothing’s a guarantee. Inflation is rising, and income isn’t rising to meet it. Most Americans today are utterly unprepared for retirement. To be more specific, 24% of workers and 21% of retirees have less than $1,000 saved for retirement. What does that mean for you? It means it’s time to get to work saving today if you haven’t already. The best way to do this is through an employer-matched 401(k) plan if that’s something your company offers. An employer match is basically free money. Otherwise, set up your own retirement account with help from an accountant or tax professional. You don’t know for sure what the future will bring. The only thing you do know is that it pays to be prepared. One of the worst habits to get into is spending extra cash frivolously. It’s not your fault completely. We live in a society driven by “treating yourself” and keeping up with the Joneses. You want to have nice things and experience all that life has to offer. Yet, at the same time, you want to pay down debts and make smart investments. You can’t have your cake and eat it too. It’s smart to put that extra cash you might receive during the holidays or even just $20 bucks you found on the street to your investments or debt. It adds up. This way, when you get a raise in the future, you won’t be stuck with lifestyle inflation. Another virtual advancement we have in 2019 is the ability to track our spending in just a few clicks. You can track all of your money from your smartphone, and it’s free and easy to do so. With apps like Mint, your spending is categorized so you can see just where it’s going. It might seem simple, but how closely do you really monitor your finances. It’s easy nowadays to swipe your credit card like crazy without thinking about the consequences. With a platform like Mint, you’re forced to look your spending in the eye. If you’re like most Americans, you’ll probably notice a few areas you could afford to cut back. Investments don’t need to start large to make an impact. One of the best ways to build wealth is to start small. You don’t need to be a multi-millionaire to become a savvy investor. Start small with “spare change” investing. This is technically known as micro-investing, and it’s when you invest small amounts of funds into stocks. With apps like Acorns, investing is simple. Once again, manage your money in your pocket. With Acorns and similar apps, your purchases are rounded up to the nearest dollar, and this pocket change is automatically put to work at investments. This is a great way to learn about investing without a huge risk. Let’s face it, we don’t all have the healthiest relationship with money. Some of us grew up poor or making irresponsible financial and investment decisions. Others simply lack the know-how to manage things like investing or saving. Either way, there are fewer excuses than ever before for lagging behind in your finances. 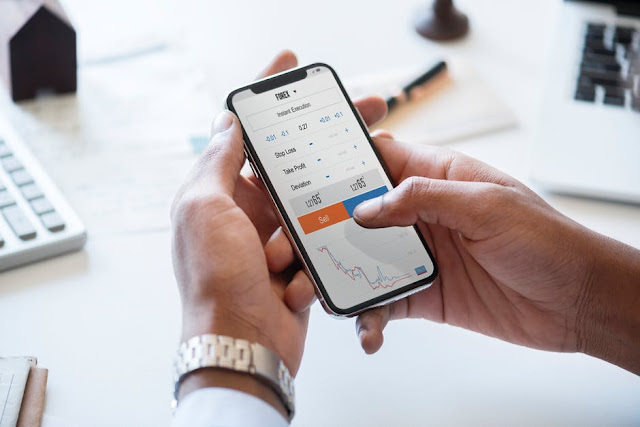 Thanks to the technological advancements of 2019, it’s easier than ever to become the master of your own wealth. Get started today with the habits above and make this year your most profitable yet. I hope you enjoyed this blog post about top wealth building money habits to help improve your personal finances in 2019 and beyond. Interested in more articles about maximizing frugal finances?